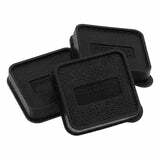 When your GoPro HERO camera is out on location in an action-packed environment, it's important to keep the front lens of your GoPro's housing free of dust and debris. You want to be ready to shoot at a moment's notice, so don't miss the shot because of a dirty housing lens. 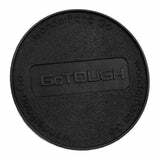 The GoTough Standard Housing Lens Cap fits directly onto the GoPro HERO3/3+/4 dive housing.